Your lymphatic system plays a number of roles, and one of them is the removal of toxins and other impurities in the body. Experts say that your lymphatic system drains into the socalled thoracic duct which is situated on your lefts side. 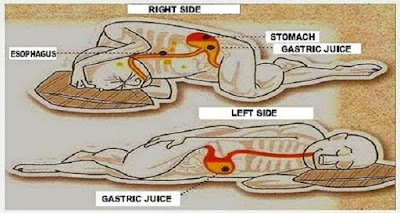 This is the reason why sleeping on your left side may help in facilitating and accelerating the flushing out of anything that should not stay in your body. Since your lymphatic system also gathers protein and others that have escaped your cells, sleeping on the left side can help in bringing them back to where they belong.